Fans Give Earful Backlash To Amitabh Bachchan For His ‘Insensitive Tweets’ On Mumbai Rains! 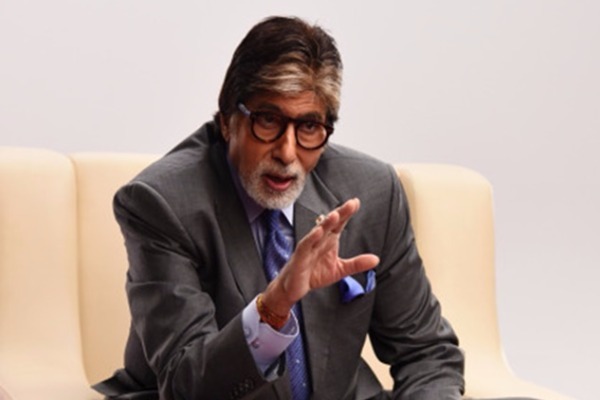 As we all know Bollywood megastar Amitabh Bachchan is one of the most active celebrities on social media. Big B recently posted a series of tweets on the heavy rains in Mumbai. Thousands of people were stuck in their offices and other places in Mumbai due to waterlogging. The rains certainly did not dampen Mumbai’s spirit. People across the city came in support of each other by offering food and water to people who stranded in heavy rains. Social media was abuzz with helpline numbers and relief alerts. While people were rescuing each other from places across the city, Big B’s tweets had badly upset fans. Also Read: Oh No! The Kapil Sharma Show To Go Off-Air, Guess Which Comedy Show Will Replace It? Big B also took to Twitter to praise the spirit of Mumbaikars but in return received the wrath of the people. Twitterati were not too impressed with the insensitive tweets posted by Big B on heavy rains. The fact that he posted his pictures along these tweets had pissed off people more. He even compared the rains with Hurricane Harvey. इसको लोग सदी का महानायक और बोलते हैं..?? This is how he is helping flood affected peoples. This is why I don't let my daadu join FB or Twitter. This is exactly why! Wondering how many Bollywood stars came out of their houses to help or distribute food to the people stranded. Easy to sit at home & tweet! Previous : Oh No! The Kapil Sharma Show To Go Off-Air, Guess Which Comedy Show Will Replace It?